Minimal Breakdown-unlike other bike case you need to take the wheels off, handlebars off,pedals off, seat off, you only need to take the Wheels off. Padded Wheel Bags-there are 2 wheel bags on each side in which you can put wheels. After you place both wheels in the bag, you can put the included self inflating sponge in to protect your wheels. 360° Rotating Wheels and Sturdy Grab Handles, with which you can easily drag through the airport and other places. Internal Stabilizer System, after taking off the wheels, you can use the integrated bike stand to stablize your bike inside the case. 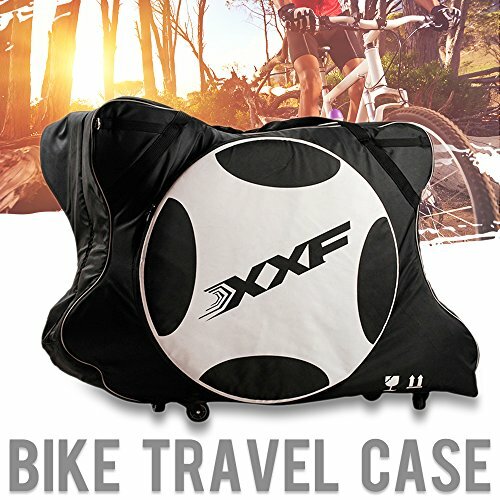 Our Bike Case is compatible with most road bikes. Please reference the specs for exact measurements. If you have any questions about this product by bike case 002, contact us by completing and submitting the form below. If you are looking for a specif part number, please include it with your message.